We’re working to bring together 20,000 households for a group electricity purchase. As of April 1, 2018 we’re 30% of the way to our goal. Join and help us grow! To determine if your community is participating in MEGA’s Lilac Aggregation check our alphabetized list below. Click on each community for local contact information. 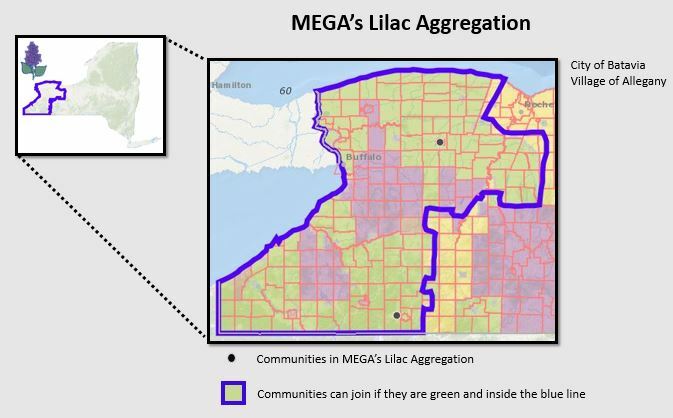 Can’t find your community but want to join MEGA’s Lilac Aggregation? Contact us and we’ll help. Call us at 518.533.5399 or contact us with the form below!